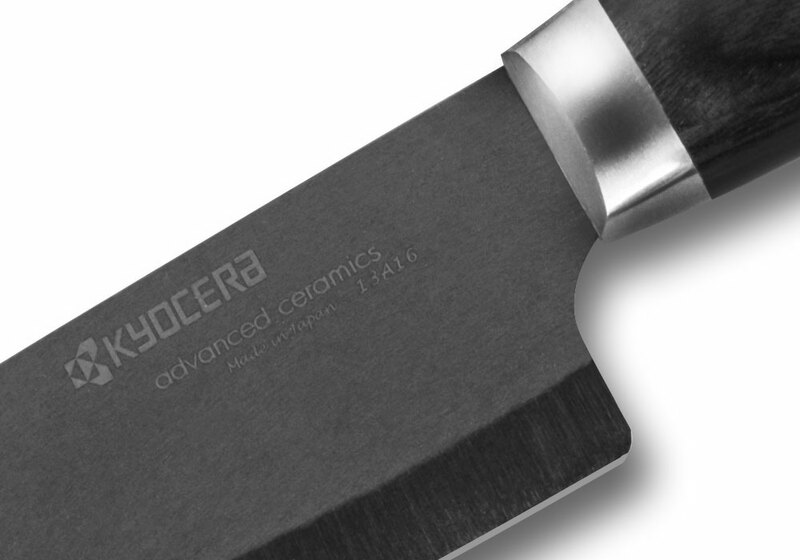 The Kyocera LTD 5-inch Ceramic Utility Knife is a high-performance knife for everyday tasks like chopping, dicing and slicing fruits, vegetables, and boneless meats. 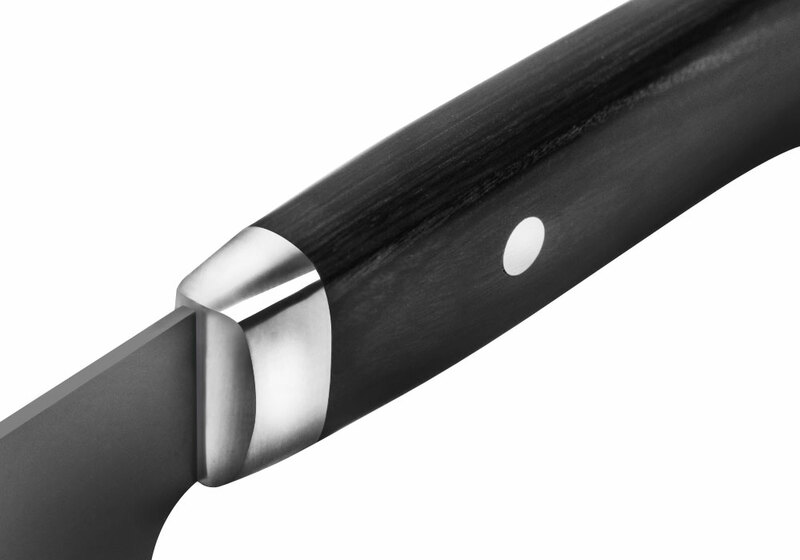 The LTD Series reflects true Japanese tradition with its hand-finished blade and contoured pakkawood handle. Handcrafted by expert artisans in Seki, Japan, the unique handle shape is not commonly used due to the fact that it is time consuming to produce. 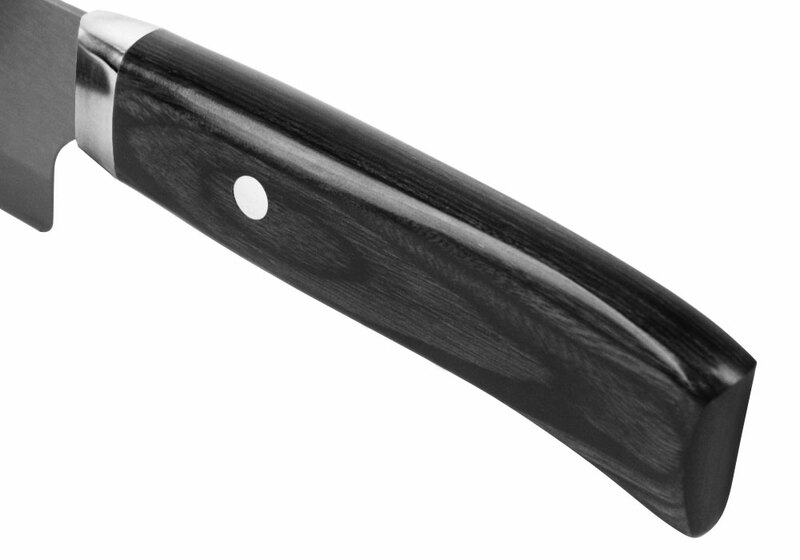 This style handle provides a natural, ergonomic feeling, contoured to the palm and ultimately enhancing the cutting performance. Zirconia-206 ceramic is a material close to the hardness of a diamond with a rock-like edge that will not roll like steel blades. 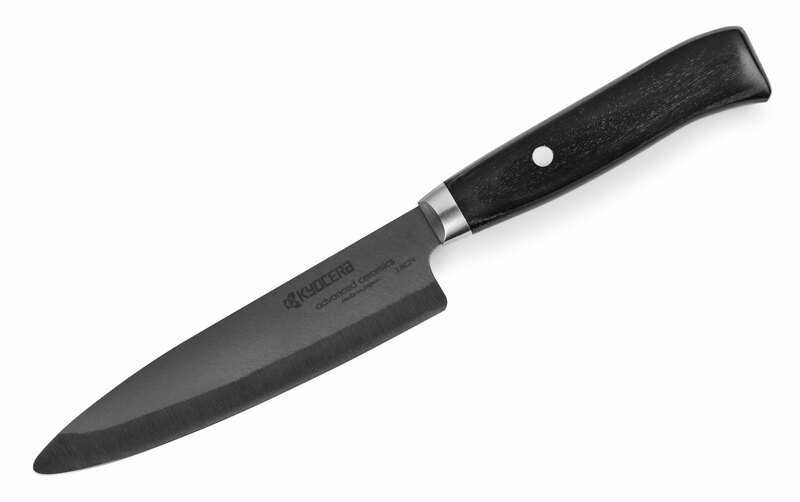 Unlike steel knives, ceramic blades will not brown foods, nor corrode from acids or oils in fruits and vegetables. 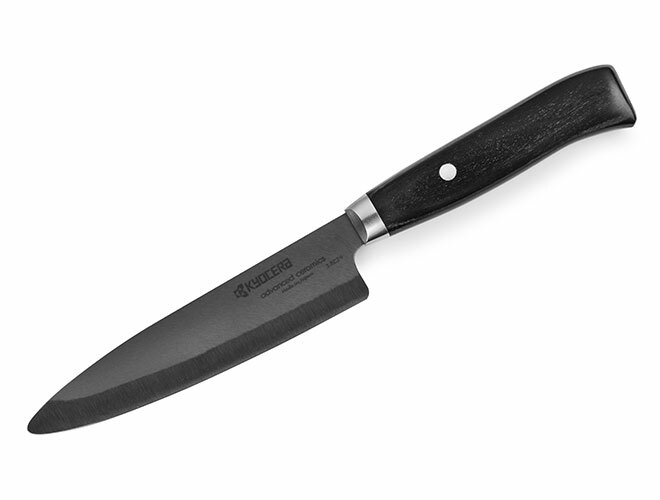 Lighter than a steel blade, ceramic knives become a comfortable extension of the hand, reducing fatigue during long, repetitive cutting tasks. Always use with a wood or plastic cutting board; Avoid cutting on marble, stone, glass, plates, or tile. Hand wash with soap & water.